How much does a Tire Rotation cost for your car? 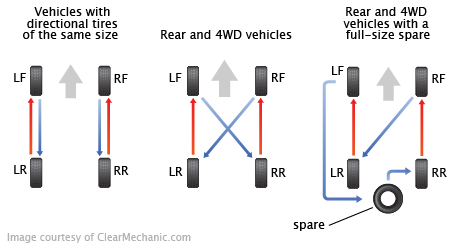 The cost of a Tire Rotation depends on the type of car you drive. On average, you save 17% with Fiix. Tire rotation is important because it can extend your tire’s lifespan. Your tire always faces track wear, and sometimes one tire or one set may be more worn than others, needing a tire repair. If your tires are unevenly worn, your car will favour the newer tires and move in that direction, adding to the problem. If you rotate your tires though, this can reduce the amount of damage you face by allowing more wear to occur on a different part of your tire. With any regular maintenance, there should be a tire rotation that occurs. If your mechanic isn’t doing that for you, our experts are trained to do this and will even recommend any option we can for adjustments or lubrication before moving to replacement. If your tires are facing wear damage, talk to one of our experts on standby and have them help you out. My mechanic was a Rock Star. My mechanic was a Rock Star. Informative, clean working environment and polite!! Great job when completed too!! !